Hanging out outside and gathering friends and family around a fire pit is so much fun. 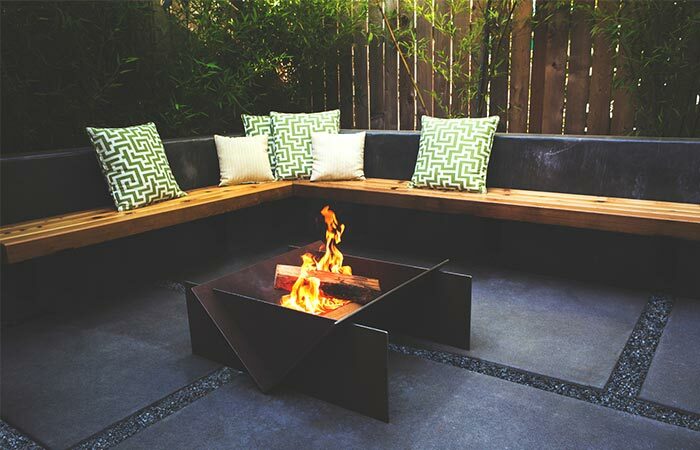 Unlike those regular ones, Stahl Firepit is modern, elegant and very functional. Everything from assembling, materials, and construction was made to be of high-quality. It’s also a perfect addition to your backyard or patio as it will provide a cool ambiance to basically any outdoor area. Let’s start with the material. Stahl Firepit uses hand selected A36 hot rolled steel. This steel is non-powder coated and can withstand different elements. Also, as it ages, it will get a nice patina, making each one unique. It will become lighter and turn its color into a golden shade. The Stahl Firepit looks modern and will fit great in backyards and patios. There’s a smaller one, in case you want to take it with you for camping. 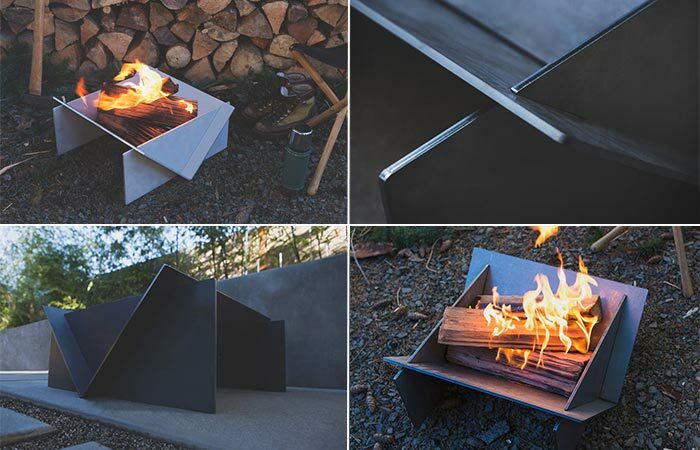 This fire pit looks very minimalistic and modern. It’s laser cut for precision and not welded, to allow you to simply remove it and store it later. The quarter inch steel is extremely durable meaning you’ll have it for many seasons to come and it will last for generations. With a steel construction, it’s very long lasting. Also, as seasons change so will the fire pit. It will turn into a nice gold color. Besides it looking better with age, this fire pit is super easy to assemble. You just have the five pieces, without any additional parts or screws. All you have to do is put all the pieces together and that’s it. You don’t even need tools. Stahl Firepit comes in different sizes. This really depends on where you need it for. The biggest one is perfect for backyards or patios, but there are also sizes made for decks and camping. 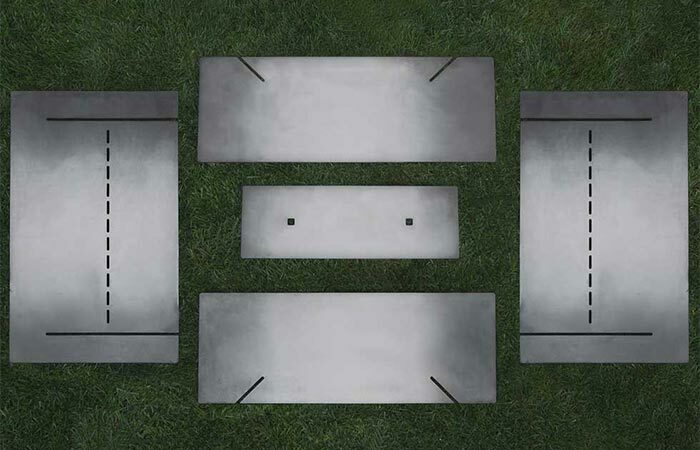 To assemble it, all you need are these five steel pieces. No tools, screws or difficult instructions.